Through the dark winter months, we are reliant on interior lighting. When the lights flicker or go out, can you fix the problem, or should you call a qualified domestic electrician? As a local electrician serving Beaconsfield, I am often up in the early hours, ready to load the van and head off to homes and businesses in South Bucks. At this time of year, it can still feel like the middle of the night on the morning commute and you have to drive home in the dark too. At least you can switch the lights on when you walk through the door. When the lights go out and you are plunged into darkness, it can be disconcerting. Do you need to get straight on the phone to the local electrician? Before you do, it is worth seeing if there’s a quick fix, but if you are unsure, pick up the phone. The first step is to identify whether it is a problem with a single light, or are other lights out too? Check by flicking the switch in another room. Is a Domestic Electrician Required if all the Lights are Out? If all lights are out, grab a torch and take a look in the fuse box. At times, the electricity supply trips. The Mains Switch will be clearly labelled and you should see an on/off label too. If you notice that the switch is off, move it to the ‘On’ position and your lights should return. If it trips again, it is advisable to call your local domestic electrician. If the Mains Switch is already ‘On’ and all lights are out, you may be experiencing a power cut. In this case, you are likely to see that neighbour’s homes are also without light. Power cuts are fairly infrequent and typically resolved in a matter of minutes. Unfortunately, it means that you won’t be able to use other electrical devices, such as boiling the kettle for a much-needed cuppa! Can a Domestic Electrician Help if just One Light isn’t Working? If the problem appears to be isolated to one light, there’s a good chance that simply changing the bulb could resolve the problem. Be sure that the light is switched off (not as obvious as it seems when the light is out! ), unscrew the current bulb and screw in the replacement. Hopefully, that is all it takes to resolve the issue. If the problem wasn’t the bulb, it could be a faulty cable or flex connection. This can also be the cause of a flickering light. Only undertake this step if you are confident that you can safely access and reconnect the wiring in accordance with building regulations. Be sure to isolate and remove the circuit fuse, double checking that it is dead, prior to touching any wires. Otherwise, contact your local domestic electrician. 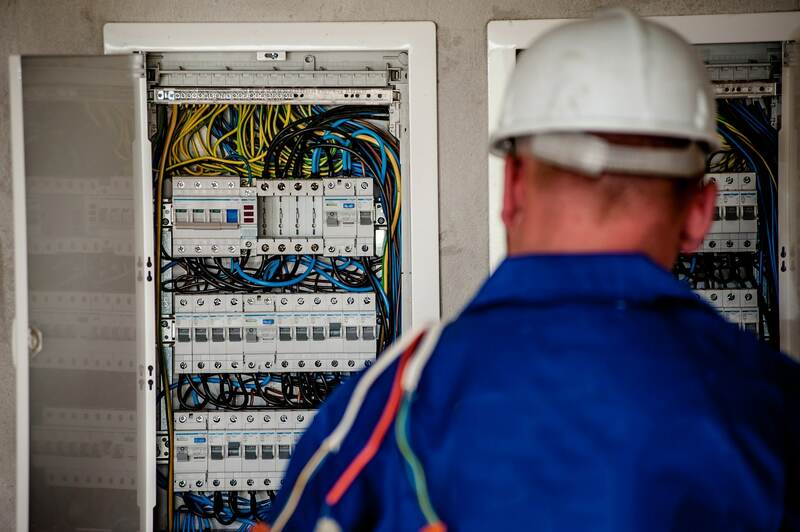 ADS Electrical Services, your local Beaconsfield electrician can resolve the issue and ensure that the electrical wiring in your home is safe and compliant. What’s more, you can call on us for assistance with lighting design and installation for extensions, renovations and new builds. Keep our number 07966 906640 at hand, so you can easily get in touch when you need us. You may also be interested in: Domestic V Commercial Electrician – Is There Really a Difference?